Recently purchased this combo. 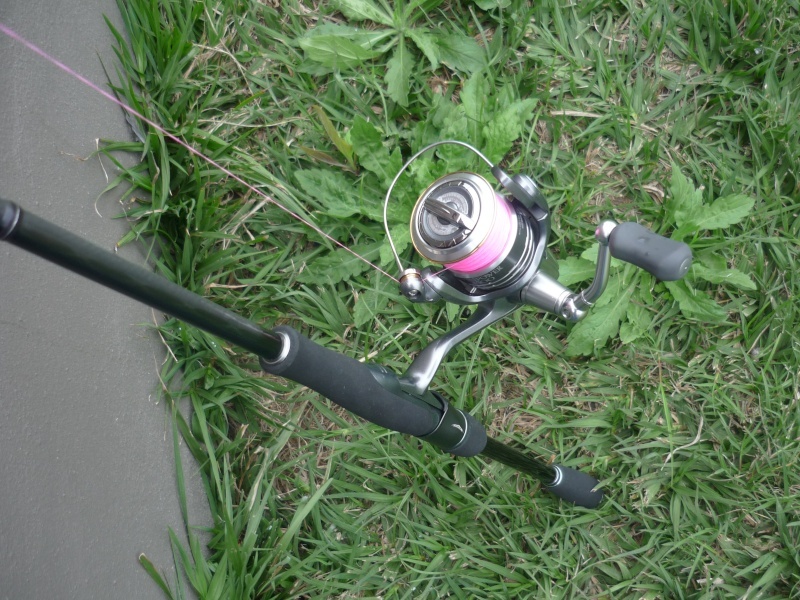 The reel is from Raymond (Thanks mate) and the rod is a newby from TWH. Had a fish with it last night/this morning, ended up fishing x for a bit with little results. Moved to a different spot and managed a few jew around 65cm, I was casting 4inch unweighted prongs and it excelled in this. Its a real delite to use, not having used spin in quite a while it took some getting used to but this combo will defeiantly become heavily used. 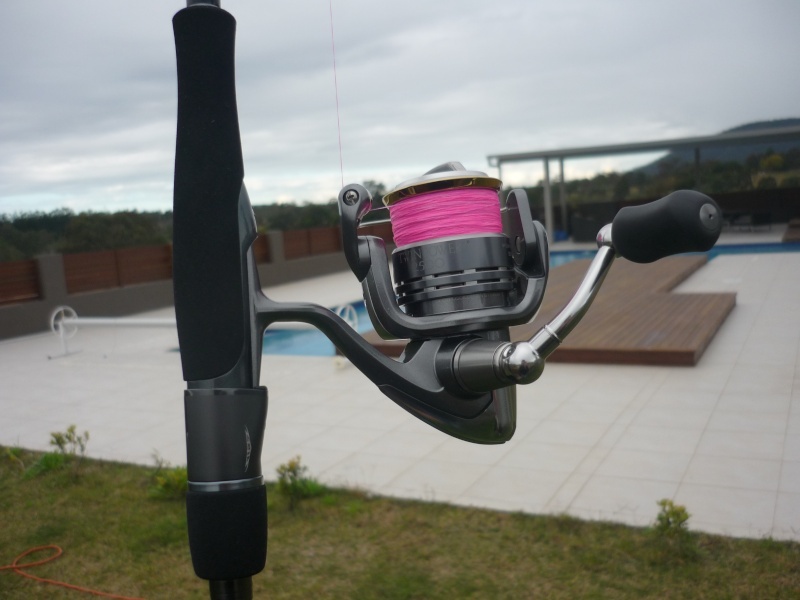 Atm its running 12lb bionic, it casts great and the rod can deal some power when it needs to. Looking at purchasing a lighter rod in the next few weeks for bream and flattys, I like the feel of the steez 2-6lb 7ft. Anyways ill post some pics of the gearS in the upcoming days. Good to hear you found a Powa Junkie, keep up the practice with the spin gearS mate, you'll be proficient at it in no time! Haha nice man, not mine. Its the girlfreinds. Don't be afraid to work that Power Junkie hard mate. Hey Dale, what's the reel in the pic, branzino? Very nice catch nevertheless! Hyper Exist 2508 Branzino (I think that's it's number.) Loded with 20lb Sunline Super PE. The fish was a bit over a metre. Sssshhhh!!!! Don't tell Matt (Stotty) that, he was chasing one of those reels before the twinpower came along! hehehe. Pam and Janelle conspired against me to stop me buying it after the tackle show last year. Pam gave it to me for our anniversary. I'm still chasing it, Just can't afford one yet! Knew you were up to something Stotty,all the WTB's floating around QFM! Bit off topic,but with that vast amount of water behind you in the pic,is that sweet home Awoonga Dale?? Yup, was on the search for a few things. Got my hands on half of it. Actsully Andrew, looking for another custom. I'll shoot you an email later today. It's that 7' bc we were taking about a while ago. Janelle, when you and Pam get together evil appears, fortunately, it's often good evil for me. That PE Zillion saga was a classic example of your conspiracy. Sorry for the Hi jack. Yes, it was Awoonga. If anyone else would like me to conspire with their better half then let me know. Am very good at trickery for a good cause.